Call to the Victorian Government for an urgent review of the culling permit allocation. Currently, there is LITTLE to NO consideration given to local ANIMAL RESCUE SHELTERS in the area when a license to cull is approved. This effectively means that as a group rescues, rehabilitates and then releases an animal, it can be LEGALLY KILLED the same day by a neighbor with an approved license to cull. Environmentalists recently slammed a State Government decision to allow the culling of 60 kangaroos on an Otways property next door to a wildlife shelter and a national park. The Environment, Land, Water and Planning Department issued a permit to “scare, disperse, trap or lethally control” 60 eastern grey kangaroos just weeks after a landowner moved to a Colac-Carlisle Road property. The property shares a boundary with the long-established Carlisle River Wildlife Shelter and the Great Otway National Park, and previous owners had grazed cattle on the land for about eight years before the new owners bought the property. This system is DEEPLY FLAWED and all of the power is with the person with the license to cull as there is currently NO dispute process for local residents or local animal rescue shelters to challenge this permit.. Therefore, we call on the Victorian Minister of Agriculture to review the current license allocation system to take into account surrounding properties and local animal rescue shelters when allocating a permit. Further, we request an option to allow local directly affected parties and rescue shelters to dispute the approval of a cull of nominated animals within their immediate vicinity. 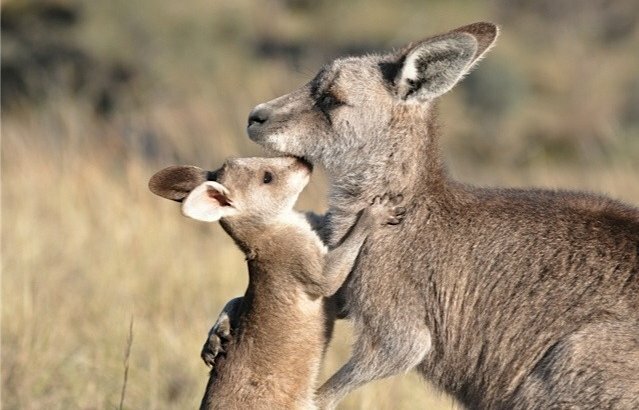 “Two rabbits eat the same amount as a kangaroo and a cow with a calf at foot will eat as much as 30 kangaroos; DELWP should be required to explain to the applicant the dietary differences between kangaroos and cattle so that the applicant can be properly informed about the amount of competition for pasture that actually exists,” Wildlife carer Mr Anstis said. Do they know how many rabbits, or kangaroos, are in Victoria? probably not!